Nice to meet you and we look forward to your arrival. You may not know me fully but I’m pretty sure we both know of each other well enough from others, and I was told to contact you for the things that might be important during this upcoming year in my world; which is a world of diabetes. I get it. You’ll have people with long lists regarding the state of affairs here and abroad. You will have people screaming on both sides of what is correct from their standpoint which they will insist is in the best interests of all…….sort of impossible, I know, but they will insist. You will also have people asking for incredible mountainous requests for sick relatives and dire situations. All-in-all, I do not envy you your situation. Not only will you not make everyone happy, it’s my guess you will make only precious few as happy as they may want. Powerful is the individual who recognizes that they cannot do anything about what enters their world but it’s what they do with what comes along that creates the path they walk. We are each faced with that task. Life is life; and no matter where we are in this world…..we are given life to deal with and manage. With all of this in mind, it’s also my understanding that you take requests. It has been made clear to me, 2018, that you are not Santa Claus but that request can be made and you will sort through and figure out what is best and that asking is completely encouraged. Okay…….so here we go. This is my request for our diabetes world. Others may chime in as needed. First and always, I want a cure. I’ve been asking this for some time and although I have not been one of those who point and say they have been promising it within the next five years (who are those people anyway? ), I think it’s time. Or, at least, some REAL significant progress toward that end. Some clinical (human) trials in kids…..something promising please. We also need some stability in the insulin world when it comes to pricing. Either allow some of the cases to come to trial that make/prove definitive and serious allegations to force lower costs, or have someone come up with a generic brand that will shake the foundations of those who think they control all costs—-the prices are too high, 2018, please look into this matter. Please help us make a REAL dent in our journey to stop the missed diagnosis of T1D. No one should die or be missed diagnosis that in turn causes major havoc in people’s lives. IT’S JUST SO AVOIDABLE, 2018, it’s almost ridiculous. Thank you for the continued efforts of so many—-it’s MAKING a difference but we need to really make this a national initiative. Health care costs. Okay here is the deal, us in the diabetes word ARE NOT THE ONLY ones asking about this 2018. YOU HAVE GOT TO KNOW BY NOW how important this issue is for so many causes, so many people, and so many reasons? A group of fat cats in our Nation’s Capitol can no longer be allowed to merely make changes without fully understanding of what the impact will be…..it’s a mess 2018, please both tend to, and fix, this situation. Management tools. 2018, I am not just referring to a device that reads blood sugar and dispenses insulin; I’m talking about all management tools. There needs to be a healthy array of available equipment and not controlled by just one or two companies. This just makes no sense. Never before have people (patients, loved ones of patients) been so nervous that what is available today will not be available tomorrow. Medicare and Medicaid need to cover what is needed and we all need to know that what is needed will always be available. It’s just not fair. 2018, these are all practical and needed request and understood, they are all tall orders. But I have faith in you and believe in you. From the fiasco of diabetes issues 2017 left behind, my hope is that you are better, stronger, and more aware of how to navigate the waters-of-need for all those who do not want to just live with diabetes, but thrive with it. Good luck 2018, we be in touch to see how you are doing. Just some were Keith Campbell and Mary Tyler Moore. They will surely be missed, wish they could stay near. Animas closing, costs too high and true, we were mad. There’s so much to do, and it all starts today. Coverage for one, coverage for all, even with Medicare. Diabetes tattoos, even CGM for Elf on a Shelf. Far away sure, but also at home. So many doing and helping as they all should. Helping some was no good, it had to be all. Hours and days they all went and went without sleep. Life is not the greatest fighting this disease. We won’t stop at all till they get a break. Well tear the page off the calender, 2016 is history. Much has surely happened this year and as I reflect on it, I realize that so much good happened in the year. I know many feel differently, and that is fine as they are entitled, but I’ve never been one to stay focused on one item or one event. I survived being at 9/11, I survived my child being diagnosed with diabetes, I have survived losing a brother (in law), a father, a father and mother-in-law who I cherished, a second child being diagnosed and an entire list of items that will depress you to know end–and many people over the years have been in office who I did not want or who I wanted…..and I will be danged if whatever this year bought will make me react any differently. The sun will rise tomorrow and with it a new day. And it is THAT way in which I live. I will choose the GREAT things that happened over the year in the battle against undiagnosed Type 1 Diabetes. I’ll cherish Beyond Type 1, Insulet, dPac, Susan Weiner, Kim May, Michelle Berman, Debbie Healy, Bennet Dunlap, Little Reegan’s Family, Kycie’s Family, Elizabeth Stein, DiaBEAT THIS!, and those who have stepped on the gas pedal and chose to share their lives to end these occurrences and, in some cases, when they were even victims themselves. I’m grateful to the many who gave a platform to spread the word. I’M GRATEFUL TO THOSE WHO EVEN HUNG A POSTER TO SPREAD THE WORD. 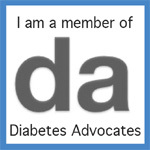 I’ll cherish those advancing the better treatment for those who live with diabetes every day. I’ll cherish those organizations who continue to help people, advocate, and spread the word. I’ll cherish those who despite great odds, continue in that search for a cure. I’ll, personally cherish, a new granddaughter, an engaged daughter, a move to a new home in a new state, and always my wonderful family. And I will always and in all ways cherish you. You who inform me, you who challenge me, you who teach me, you who believe in just ‘not doing nothing’, you who choose to make a difference, you who are my brothers/sisters-in-arms in a battle none of us want to be part. If 2017 is not what you want it to be, MAKE IT what you want it to be. We cannot do anything about what may come our way but we can certainly control how much it impacts us. May 2017 be happy and healthy and may your inner wishes come true. Thank you for being part of my 2016, I look forward to what 2017 may hold for all of us. Seems monthly there was news at Beyond Type1. So many wonder how they’ll get by. It certainly can’t be left to all the newspapers. Many doing much more like those from dPac. You’re playing with lives; it’s not about money. So much about this disease just doesn’t seem fair. I have some wishes for so many during this year. Those things have changed in the past and will continue to be. There is Life of a Child, IDF, and a Foundation of Hands. Of those in the fight like Project Blue November. And there is much help like at CWD. And ADA’s Dancing Steps was really a scoop. And DRI’s BioHub news continue to gain fuel. Spend a week with us for an even better today. Stopping missed diagnosis to end candles of blue. Good things will come, and not all from St. Nick. There is so much more work that needs to be done. We will stop all when only they get a break. When diabetes is gone because of a cure. NEWSBREAK: Animas Vibe Receives FDA Approval for Children Ages 2 to 17. I received the following email from Bridget Kimmel, Senior Manager of Communications & Public Affairs for Johnson & Johnson Diabetes Care Companies Animas Corporation & Life Scan, Inc. I know people have been speaking about this device and I share with you what was sent to me without edit. I’m pleased to share that FDA has approved the use of the Animas® Vibe® Insulin Pump and Continuous Glucose Monitoring (CGM) System for the management of diabetes in children and adolescents, ages 2 to 17. The Animas® Vibe® System was the first integrated system with Dexcom G4® PLATINUM CGM technology and is the only such system available in the U.S. for pediatric patients as young as age 2. As an integrated system, the Animas® Vibe® System allows patients and their caregivers to view glucose data and administer insulin right from the pump, making it easy to fine tune insulin delivery to help manage their diabetes. We know that effective glucose management early in life supports better health outcomes in adulthood; therefore, the Animas® Vibe® System is a great step forward in helping children and their caregivers in the U.S. take ownership of their diabetes. Expanding the global presence of the Animas® Vibe® System, along with providing solutions for children with diabetes and their parents, has been a top priority for Johnson & Johnson Diabetes Care Companies (JJDCC). It’s been our goal as a company to not only develop the best treatment solutions available, but also ensure that every member of the diabetes community, including children, may access these tools. For more details on the FDA approval, please view the press release we issued today here. Orders for the Animas® Vibe® System are currently being accepted, with anticipated shipment to patients beginning this month. In the meantime, if you have any questions, please don’t hesitate to e-mail me or give me a call at 215-688-6033. Are You a Basal-Tears, or a Bolus-Tears-Kind-of-Person; in Your Diabetes World??? When you think about everything that happens in our diabetes world, do you sort of cry a little bit many times or do you work to keep everything in moving forward and once in a while the tears just pour out as if your eyes are just bolusing-tears? A lot of little cries….or one big cry occurring when needed. I’m absolutely amazed that no matter how positive-a-life I try to make sure our kids have, out of nowhere it seems…….bang; tears. So I’m definitively a bolus-tear-kind-of-guy. I also know that it’s okay. It’s good to clear it out sometimes. A release. I know some people get sad every day, perhaps even cry a tear or two as well. They are a basal-tears-kind-of-person…..a little, many times. Clearly no one enjoys any of this, but also make sure you smile through those bolus/basal/tears every now and again as well. Smile at an accomplishment, a joke, something ‘gone-good’. When they come, make sure you enjoy those things as well. My mom tells me that it’s because of my heritage that I read the obituaries every day. It’s not a morbid thing (ever notice everyone dies in alphabetical order….except in Florida), I just check it as I read the news. I’m sure a professional would tell me that it ‘means’ something that I do, but to me, it’s just checking out what is happening in the world around me…..another page to the news, as it were; for me. But here is my observation. Every single listing had a life. Whether they were good or bad, happy or sad, rich or poor, in perfect health or suffered forever; there they all and what they leave behind is just that…….left behind. On this earth we all have just one shot to redo anything everyday. Think about that sentence. I will always choose to live this life and grab every ounce of enjoyment out of it as possible. For me, and for others. If we can all try to leave this world just a tad better for others as well as ourselves than how we found it; that’s a life worth living in my mind. So I may be a bolus-tear-kind-of-guy when needed……but during all other times, I choose to be an ocean-full of grabbing this life for all the wonder, laughter, and good it does have to offer, even with diabetes. Come swim with me. NEWSBREAK Report: T1D in Children Rising; and a Woman You NEED to follow “Closely”. Now if you look at those stats a little more closely, it used to be that 1.48 cases per 1,000 were diagnosed with type 1 diabetes (T1D), and the new study shows that it is now 2.33. Now in dealing with percentages, that means that almost an additional person per 1,000 cases is being diagnosed with T1D. THAT’s alarming. You can read Kelly’s full assessment/article by clicking here. Click the link and read her article; pay close attention to her conclusion. It will shake your cage and reinforce what many have stated for some time. And if you do not follow her, you should. Kelly has an incredible talent to call things as they are, usually with little sweetener (pun intended). 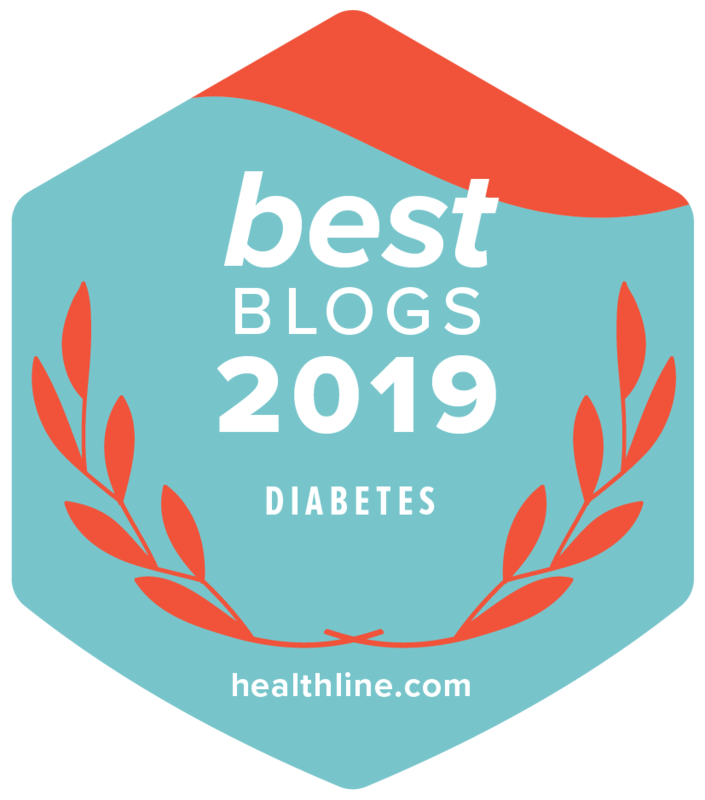 If you do not know Kelly, I can tell you that she is a shoot-from-the-hip kind of writer; and probably one of the most knowledgeable people on what is happening in our diabetes world. Little, if anything, gets by her and/or her team. She has taken her battle with diabetes (of over 25 years) and her desire to know every/any-thing she can, and after she ferociously learns for herself, she graciously shares with the world what she finds. Kelly is also the same person who meets you with a warm smile (one of the biggest smiles I know) when you see her at one of the many conferences dealing with diabetes, taking place annually. It’s not ‘unusual’ to see her and/or members of her team running from one session to another to capture, for us, what is going on. Diabetes. She writes about all aspects of diabetes. ALL. You may not agree with everything that is written, and truth be known, you shouldn’t. I have often felt that if you want to be amused, you read the comics; if you want to learn, read writers who challenge you to think and to learn for yourself. Writers should open a dialogue; and Kelly is the master. So if you are always trying to figure out what is real and what is not; what are facts and what is rhetoric; what is the truth and what is mere fabrication….give yourself a New Year’s gift and follow Kelly’s DiaTribe more closely. In a few months you will feel more educated, and in the know, about what so many merely think they know.